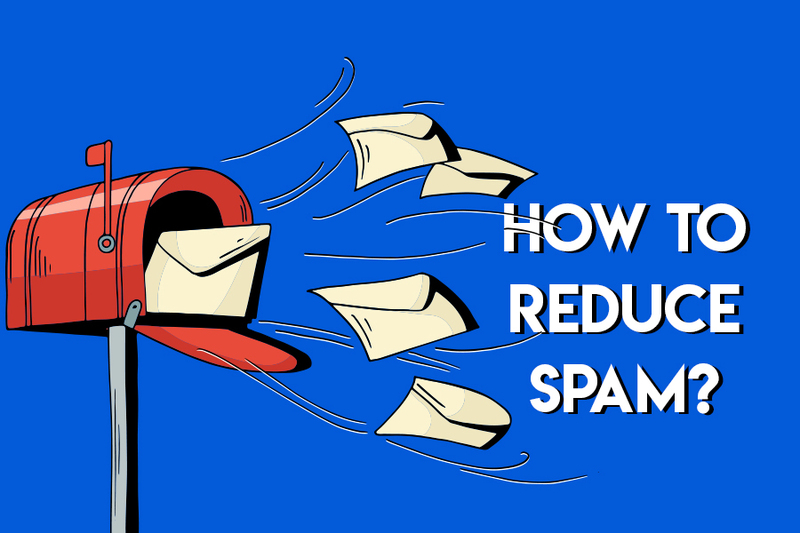 How to Reduce Receiving Spam Mails in Your Inbox? Spam mails: demeaning life on the Internet. Spam mails are like an epidemic and its huge increase in recent years is beginning to take its toll on the online world. Due to this problem, some electronic mail users are backing off from using it. Once an email address is added into spammers database victim starts receiving unwanted spam mails. These spam unwanted emails can be blocked, and the risk can be lowered if certain tips to reduce spam can be followed. Instructions below will help you reduce spam and block unwanted emails from dropping into your inbox. But before we proceed further and let’s learn how spammers get email address of potential victims. Scanning of chat rooms, forums, bulletin boards, etc. Picking easy email addresses like mike@, johnny@, alex@, sales@, info@, support@ etc. Or by using short addresses like an@, abc@ etc. Crawling the web for @ sign. 2. Tricking friends by using social engineering methods. 3. Buying list spammers can legally or illegal get your email address from various sites. 5. Subscribing for various online services. 6. Brute force programs to create thousands of addresses and send spam mails. Taking above recommendations into consideration following measures can be taken. 1. Maintain minimum of two email addresses. One for personal correspondence only and other for public. This one can be used to reduce spam and register on public forums, chat rooms, subscribing mailing list etc. 2. Avoid posting private address on public resources to block spam emails. 3. Train mail client filter by clicking on Report spam button. If a genuine mail is marked as spam, click on Not spam button. This way your email client can learn from its own mistakes and can stop unwanted emails. 4. As spammers use combination of obvious names, numbers avoid creating private email addresses using first and last name. Be imaginative while creating personalized email address to block spam emails. 5. Mask your address to avoid being harvested by spammers. As opposed to john.doe at yahoo.com and John-dot-doe-at-yahoo-do-com doe@yahoo.com is easy to harvest. Therefore, when publishing your private address do this as graphics rather than link. 6. Avoid responding to spam, clicking on link, download button etc. If you suspect a mail received from friend as spam notify them of their account being compromised. 7. Use disposable email addresses. For this purpose you can use mailshell, Blur browser extension. 8. Use third party anti-spam filter to block unwanted emails. 9. Unsubscribe from e-newsletters if subscribed to any to stop spam emails. 10. Avoid listing your email address in the text of your website. You should direct your clients to the contact form so that notifications settings and robots can be filtered out. How to Register on Websites? 1. Always use public address while registering on forums, chat rooms and subscribing to mailing lists etc. to block spam emails. 2. Try using various public addresses to trace services selling your email address to spammers and stop spam emails. Some of you must be following all the above-mentioned tips to stay safe from spam emails. But still you end by receiving spam mails. If this is the case with you then what can be done? 1. As most spammers verify receipt and log responses, more you reply more spam you receive. Therefore, to block unwanted emails do not reply to suspicious or spam emails. 2. To collect more genuine email addresses spammers sometime send fake unsubscribe letters. Therefore, avoid clicking on ‘unsubscribe’ links from doubtful sources and block spam emails. 3. If you doubt that spammers have discovered your private address – change it. This can be difficult but changing email address will help you reduce spam. 4. Be proactive while accepting cookies, listing your name and personal information, filling in form fields and other details on websites. 5. Make your privacy settings strong. 7. Block automatic picture download. 8. Disable automatic read and delivery report. 10. Avoid forwarding chain email messages. Above mentioned tips will help reduce the amount of spam you receive in your inbox. The most important things to keep in mind and to stop being a victim of email spam is to not contribute in the spam emails. Also, if any email messages that appears to be spam is received avoid opening the mail and other attachments received in the mail. These tips will help you reduce spam and avoid being a victim of email spamming.